Stylish and affordable Closet Systems in Central Florida – Forget about ordering from a catalog or calling a national franchise. Closet Envee, your local closet company, personally designs your custom closet to fit any size or shape. We pride ourselves on superior design and product quality inside each and every closet we design and build. Our standard is to exceed your expectations. There are very few companies in Central Florida that truly take the time to learn about you and your personal daily organization needs. At Closet Envee our priority is to listen to your needs and wants and make the space you desire a reality. We offer a variety of custom finishes. Rest assured our products are made with the strongest, most durable materials on the market. The keys to our success are rooted in our experience, skill, integrity, and stellar reputation. Are you dreaming of a space for everything in it's place? Closet Envee offers the high level and quality of craftsmanship that it takes to help you utilize every square inch of your precious space. We can make your custom closet from as simple to as luxurious as you want , and we design exceptional closets to meet any budget or price point. For every custom closet system we build we create the best functional and attractive space that is 100% tailored to your individual needs. This means starting from scratch creating an organizational portrait of the finest materials, hardware and finishes. Whether it’s a closet, family room, garage, office, pantry or any other area, you have a lifetime guarantee on product and satisfaction. 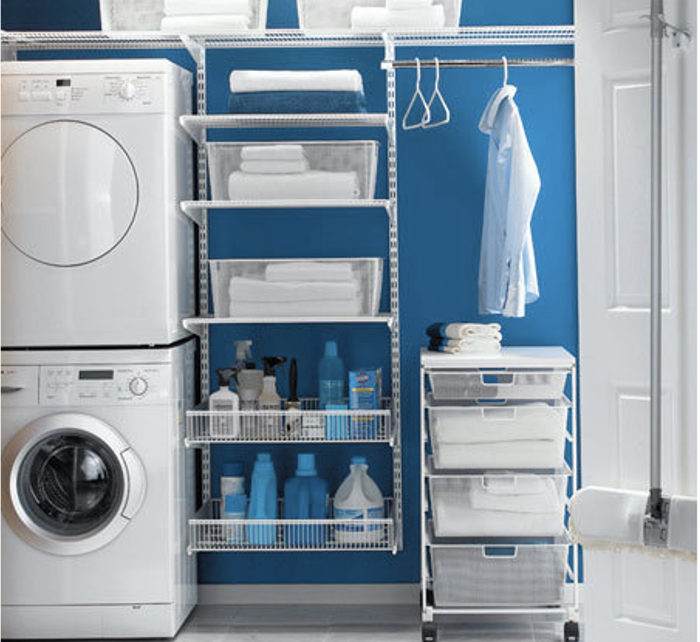 Closet Envee offers the latest in garage systems designed for your personal needs. We offer custom features for your tools, sports gear, gardening tools, and golf clubs. Whatever your needs, our professional designers will design a garage system for it. Having a garage system will keep your garage organized and neat. We have your solution no matter what size your garage is. 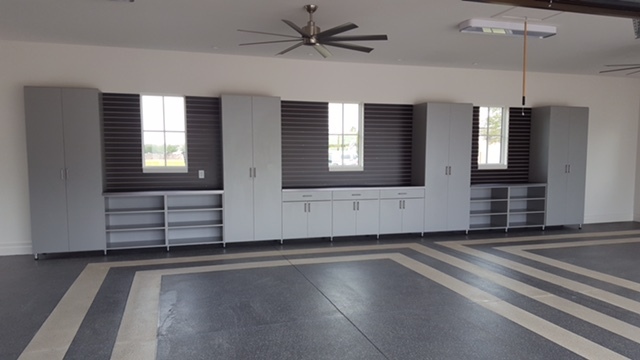 Stop dreaming about your garage and get it done with one of our garage design specialists. From simple cabinet storage to hard working work benches, our garage organization options are custom made to fit your space. Closet Envee offers cabinets in standard, woodgrain, and aluminum finishes. We also offer slat wall and slat wall accessories, and baskets. Turn a “cave” into a place of comfort with everything in it’s place. Once we’re done you might even find room for your car. No matter how large or small the space, we will make sure to build your personal sanctuary within your reach. Your home office should be the most organized room in your house. This is where Closet Envee will design the best ideas for your home office including computer desks, cabinets, bookshelves, and wall beds. 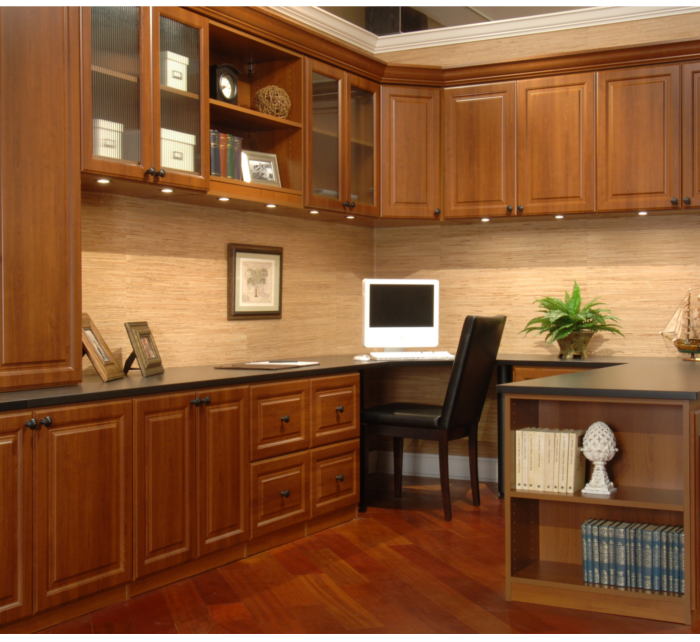 Closet Envee will custom build your office fully equipped with all of the amenities needed for a fully functional home office. Let our business help your business start living and working a life that is organized. 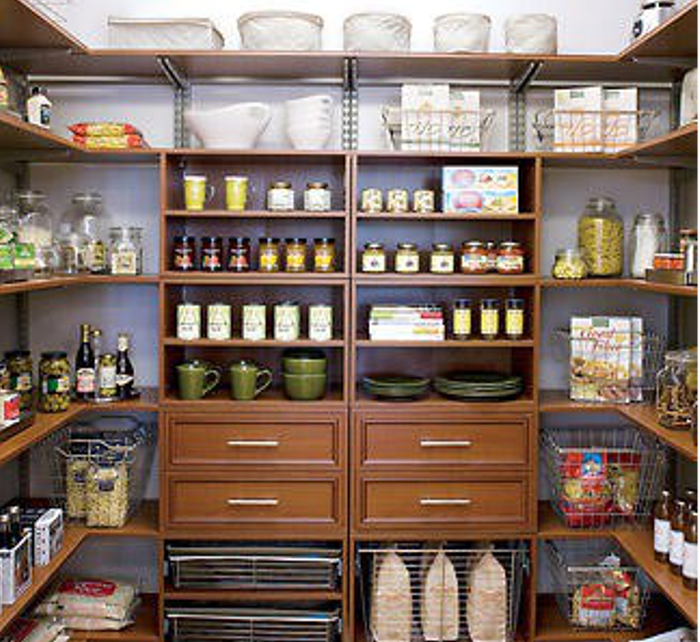 The key to an organized pantry starts with a terrific design which leads to ease and function of any space. Since every design is custom and most of the shelves are adjustable, you will have the flexibility to arrange the space to fit perfectly, and make easy shelf adjustments as you need and desire. Closet Envee offers a wide range of baskets, wine racks, pullout trays, tray dividers, and much more to truly customize your space.